I have decided to have another go this year. 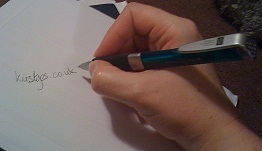 So far 372 of us have signed up to join in with writing posts related to a particular letter of the alphabet during 26 days of April. I’ve copied the schedule below from the challenge blog for my own easy reference. Now last year I went eclectic, writing on lots of different topics but this year I am going to go with the theme of my WIP (Work in Progress) – not looking forward to some of the letters! I’m hoping that this will motivate me to work on it more. I suspect that I will schedule many of the posts. As a preview below are links to four posts I’ve already written about ‘Training Time’ – I hope they whet your appetite. 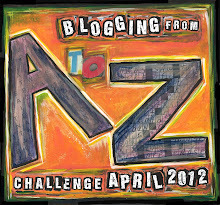 Posted on January 31, 2012, in #am writing (and all things writing related), April A-Z Challenge, Bucket List and tagged A-Z 2012. Bookmark the permalink. 3 Comments. Hi Kristy – Thanks for featuring the A to Z Challenge in your post – we appreciate the extra exposure. Using your WIP as the motivation for your Challenge posts is a great idea! I know you’ll have a great time! Thanks Jenny. Looking forward to it again and the madness and hair pulling that Q and Z are bound to cause!